Is your relationship with God limited by your inability to trust him fully? Oh, you’ve trusted God for your eternal home in heaven, but you long to trust him with your daily moments on earth. Confident trust is built through consistently believing God is who he says he is and he will do what he says he will do. The Confident Trust Bible reading plan and journal provides 31 Scripture references ideal for one month of asking for grace to trust him more. Each day includes one focus word and simple memory statement to encourage you to believe in God’s promises, will, and timing. Specifically designed to help you remember to spend time with God each day and enjoy his love letter to you, the simplicity of this Bible reading plan and journal makes it one you’ll long to share with others. Through this Bible reading plan and journal, you’ll discover bold reliance on his steadfast word and unify thoughts of total dependence on him. Is your relationship with God limited by your inability to trust him fully? Oh, you’ve trusted God for your eternal home in heaven. But you long to trust him with your daily moments on earth. Confident trust is built through consistently believing God is who he says he is. And he will do what he says he will do. 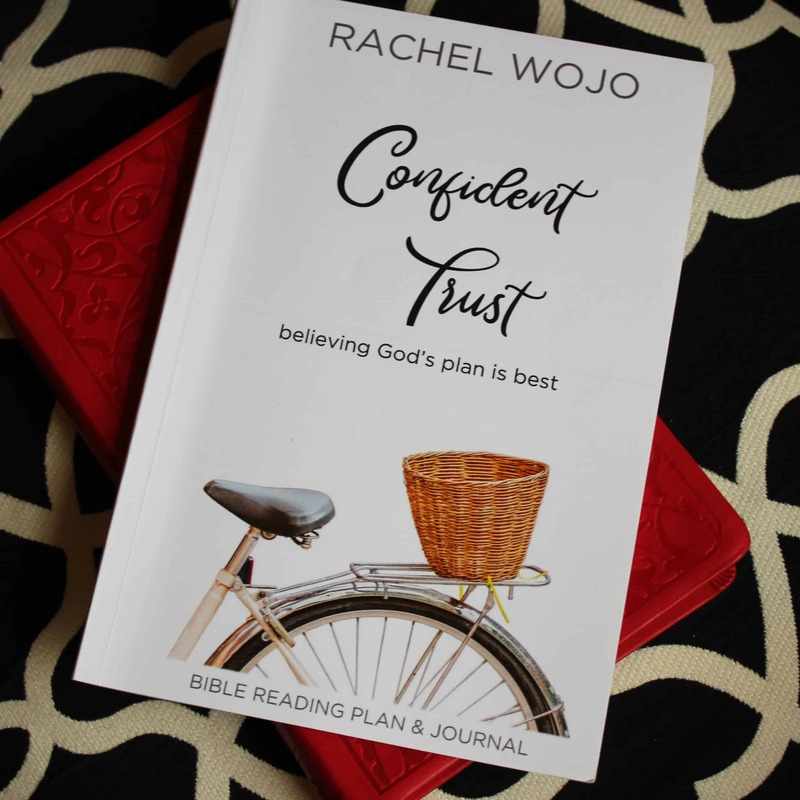 The Confident Trust Bible reading plan and journal provides 31 Scripture references ideal for one month of asking for grace to trust him more. Each day includes one focus word and simple memory statement to encourage you to believe in God’s promises, will, and timing. This specific design will help you remember to spend time with God each day. You’ll enjoy his love letter to you. The simplicity of this Bible reading plan and journal makes it one you’ll long to share with others. Through this Bible reading plan and journal, you’ll discover bold reliance on his steadfast word and unify thoughts of total dependence on him.